Southland Academy: Highlights - Ms Cromer's K3 Enjoys Surprise Reader! Ms Cromer's K3 Enjoys Surprise Reader! Pictured are Tripp Duncan and his Nana. SURPRISE! 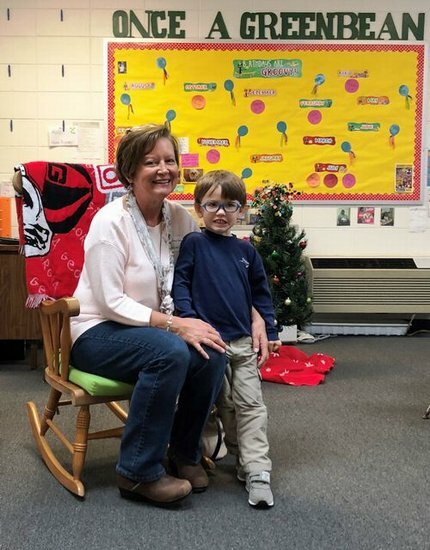 Southland Academy K3 student, Tripp Duncan, was all smiles as he saw his grandmother walk into his classroom. What a wonderful treat for Tripp and all of his friends as Nana read a Christmas book,The Little Blue Truck, to Ms. Cromer's class! The students hope Tripp's Nana comes to visit again.